Happy Valentine’s Day! 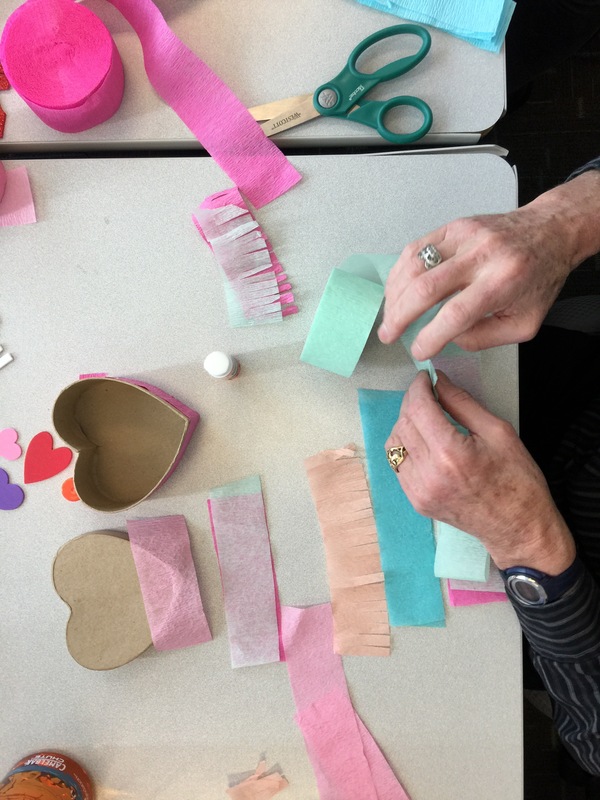 This year, I decided to keep the tradition alive and host Hearts and Crafts 2017 at work. 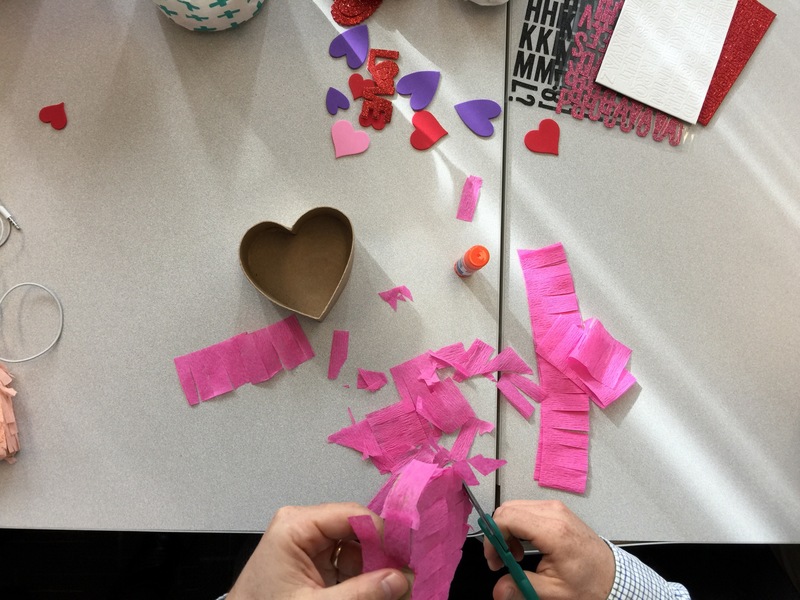 Thanks to Studio DIY for the inspiration, my co-workers got to craft in style. 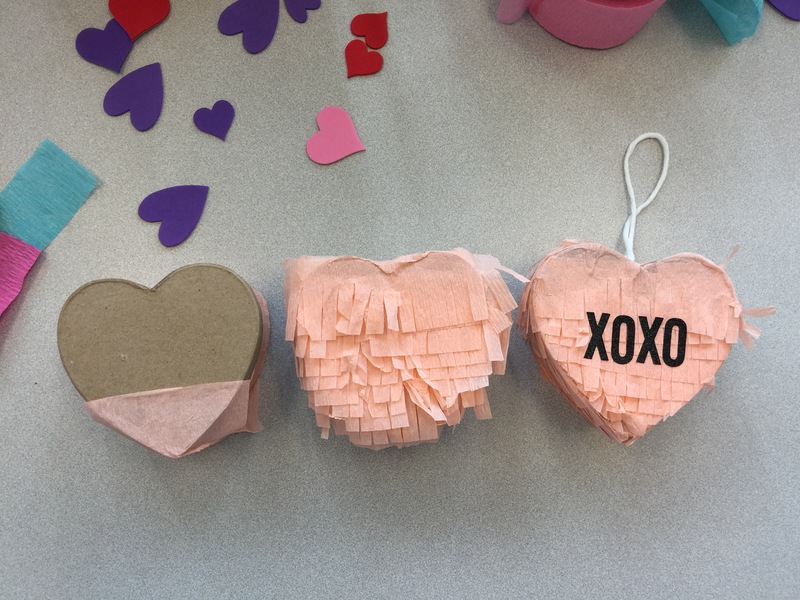 Conversation heart piñatas for all! 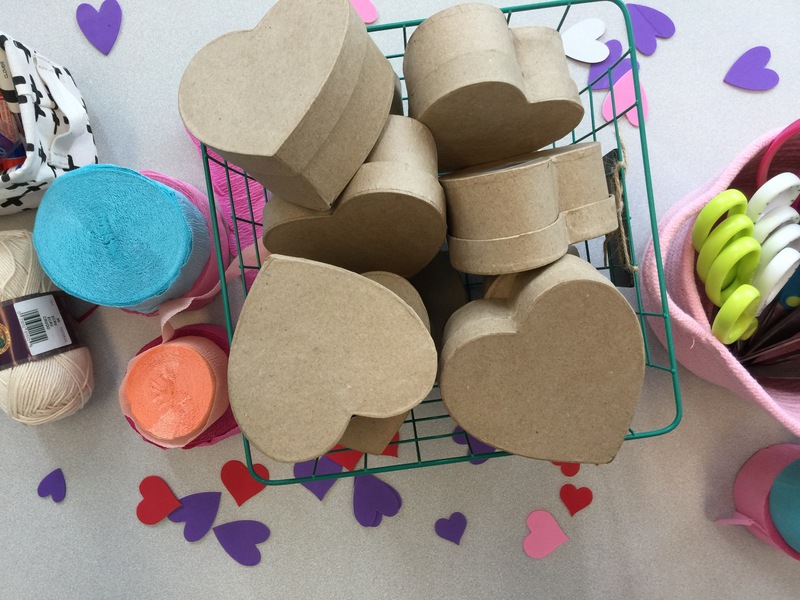 These make the cutest Valentine’s decor; and they’re perfect for gifting! 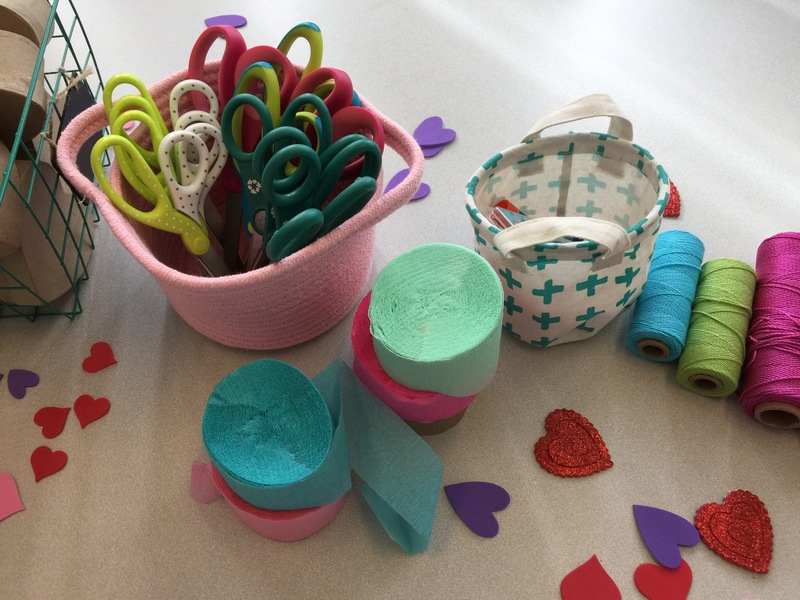 Materials and tools: paper mache heart boxes, crepe paper streamers, glue stick, scissors, alphabet stickers. Optional materials and tools: awl, darning needle, ribbon/string. Glue one side at a time from the bottom up. Start by glueing a piece of non-fringed crepe paper to the bottom of heart box lid. Overlap with fringe until you reach the top. Trim excess crepe paper. Repeat for the sides of the lid and the back of the base. For the sides of the base, wrap with non-fringed crepe paper. Add alphabet stickers with your phrase of choice. Optional: Poke a hole at the top of the heart with the awl. Use the needle to string the ribbon through the hole. Tie a knot. Previous Postthat cupid hit me. mmm mmm.